Filmmaker Tara Subkoff explains the impetus behind her beautiful short for MOCAtv – the YouTube channel for LA's pre-eminent contemporary art gallery. We shot Magic Hour in my real house in LA. I wrote most of the dialogue myself and also with Tatiana Von Furstenberg who has inspired so many great conversations. Many of the lines I came up with over the years after spending time in LA and always comparing it to living in NYC, which is where I’m from. The reason I made this film is because I had to give up my little house I’ve loved and lived in in Los Angeles/Los Feliz for three years and it has the most beautiful magic hour golden light I’ve ever seen. I wanted to really capture it and shoot a short piece that all took place in that one hour when the house is flooded with golden light. I love the idea of it literally being impossible to complain because it is so beautiful and gold, and yet someone is not even noticing the beauty. Or not being able to notice because they are so trapped inside their own head/reality/unreality. The film is a feeling or moment and I wanted it to be personal within a very glossy world like Los Angeles. It’s private – in a world in which we are all trying to Instagram and advertise how great we are at all times. It’s interesting to me to have a real look into someone’s private moment. Maybe where it isn’t the most flattering. 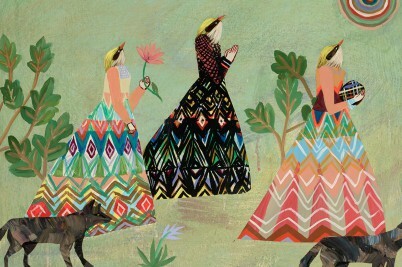 I always want to make work that feels right, for right now, to me. I hope that I can capture something of the mood of our times or problems that we all face given the times we are living in – technology, the speeding up of everything, the constant ‘What’s next?’ anticipation and not being able to be present in the current moment. These are new challenges that we all face and they will become normal – we won’t question them in the next few years. But right now there is still the possibility to notice this shift and to watch it happen. Maybe it’s a new industrial revolution of sorts – the time before we all wore Google glasses and even slept with them on. I spent some time in LA as a young actor in the early 1990s and was passionate about making independent film during the heyday of independent film. I met Chloe because we were both working on Last Days of Disco by Whit Stillman. She’s interesting to me in how she transcends celebrity and doesn’t participate somehow. She’s an icon but you can relate to her. I love working with her. She’s so talented. She can really absorb a moment and communicate a feeling. I hope to continue to write material that can showcase her talent to even better degrees. And I guess that is the exciting part of having such close friends who are actors and knowing them so well. John Cassavetes was good at making personal films using his closest friends and family and he is such an inspiration to me. 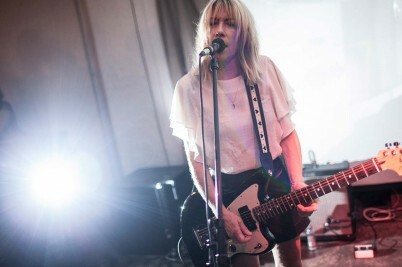 Videos, writing and images from former Sonic Youth frontwoman and Huck 42 cover star Kim Gordon. With new caper Spring Breakers, filmmaker Harmony Korine has made his most surreal, complex and transcendent work yet.